This time, there was no hiding from the selling as the S&P followed the lead of the Russell 2000 and headed lower. The semiconductor index was the big loser, breaking out of its channel after losing 50-day MA support. 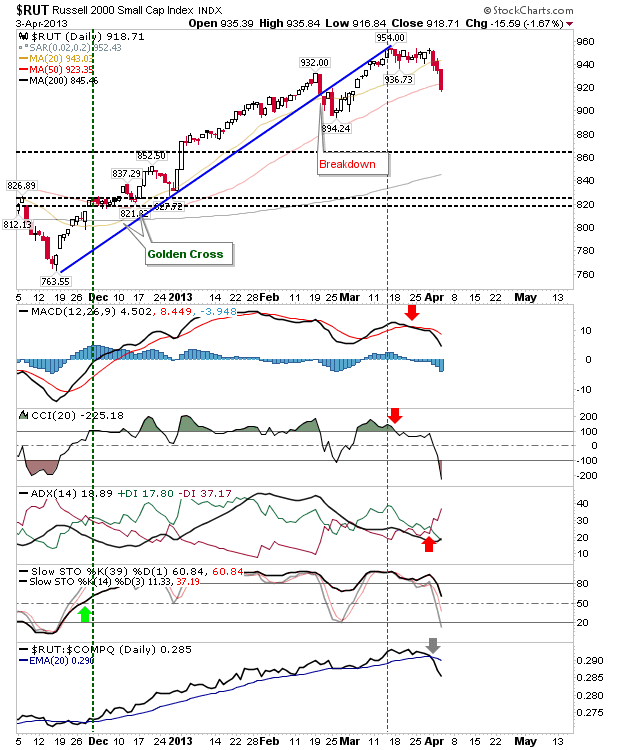 Technicals are net negative. The 200-day MA is next for support. The Russell 2000 finished below its 50-day MA as its losses accelerated. Technicals are about a day's selling away from following the semiconductors into net negative territory. 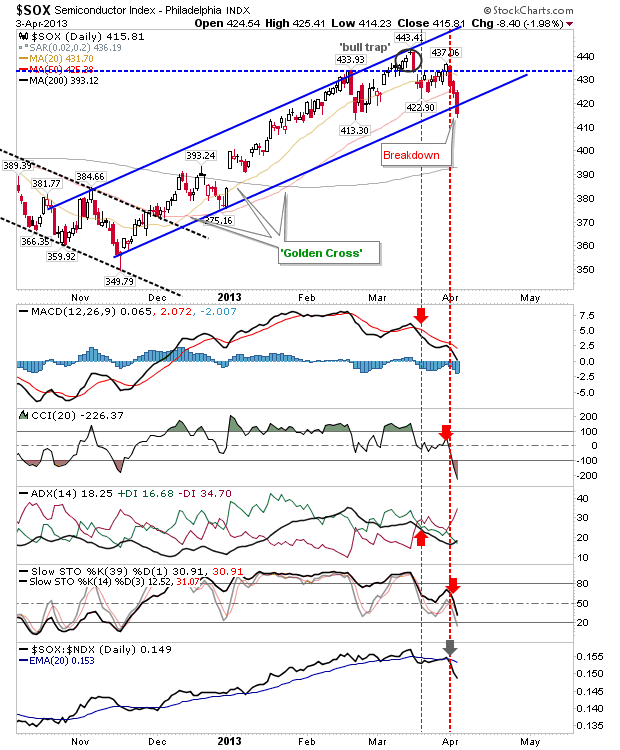 The Nasdaq succumbed to the selling initiated in the semiconductor index. 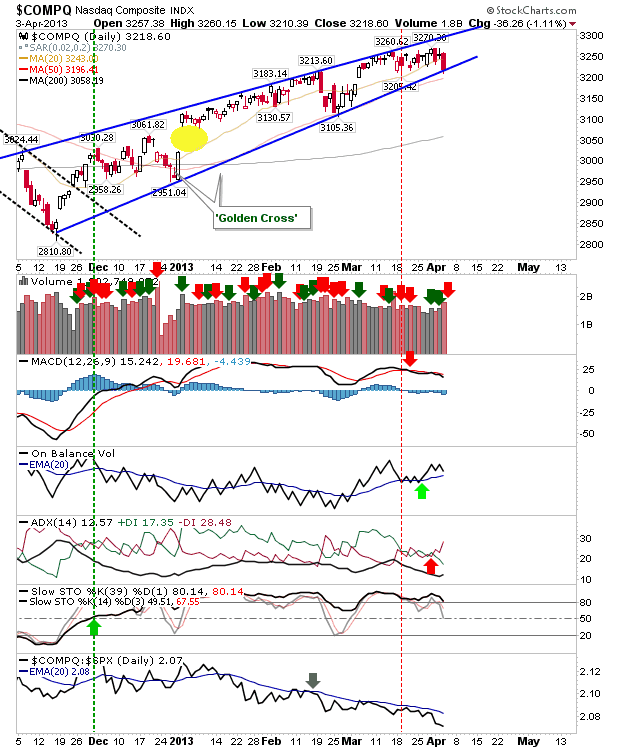 However, it did enough to finish on rising wedge support with the 50-day MA available for support. Finally, the S&P took its losses with an On-Balance-Volume 'sell' trigger. The index finished just below its 20-day MA. 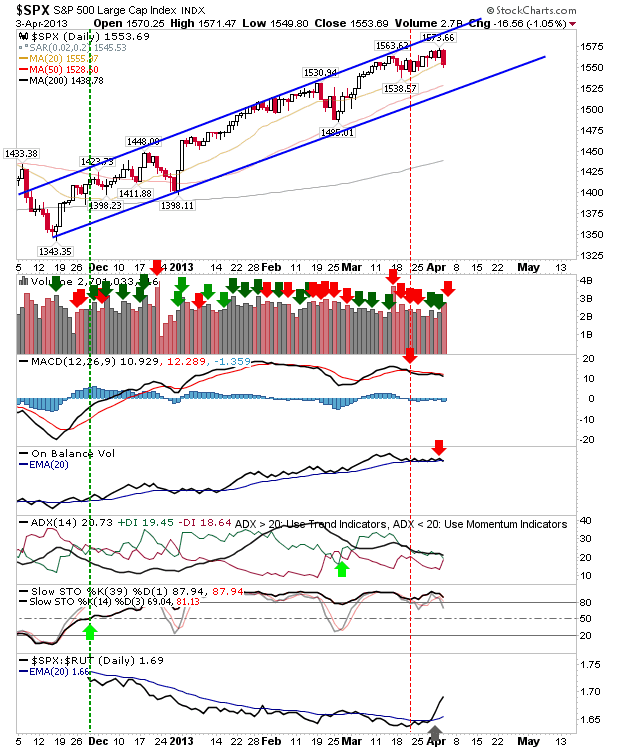 With all indices moving into negative territory on confirmed distribution, bulls will need something stronger than a days worth of gains to avert a larger decline. The semiconductor index will likely recover first, but shorts will probably get active at the 20-day MA as the index slowly rolls over.